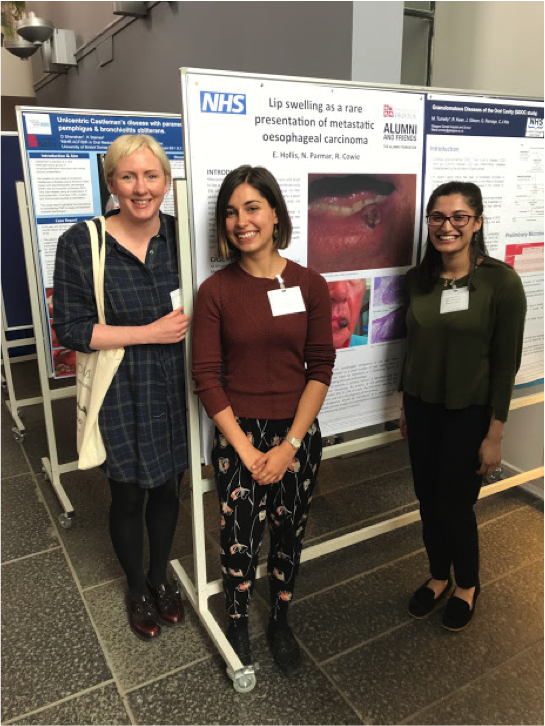 Dental students Liz Hollis and Natasha Parmar asked whether we would help out with expenses after they had a poster display accepted for presentation at the May meeting of the British Society of Oral Medicine in Dundee. We were only too happy to help as they would have been unable to attend without financial support and they reported back with a message of thanks which can be read here. The photograph shows Liz (centre) and Natasha (R) in front of their display together with supervisor, Dr Rachel Cowie.